They say that once your book is written you are only 5% done. Let me tell you folks, after doing one month of publicity for my book, whoever "they" are, are right! There is so much more that goes into your book after you publish it -- mainly publicity -- that takes almost as much time and energy as writing the book did in the first place. It does take a village to publicize a book, and this is where I could use your help. As a new author, I have no readership following. There's no one hanging around ready to scoop up my next best seller. That's why reviews of my book are so important . . . and that's where you come in. 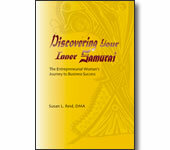 If you have read my book, I would be so appreciative if you would head over to Amazon.com to review it. Just click on the "create your own review" button and write your review.